Celebrating 125 years of service the DAR began a quest to gather 10,000 letters to active military. On the final night of Continental Congress, Guinness Book of World Records tallied the letters collected. The new world record for letters to active military is 100,904! Welcome! We are the Ferro Monte Chapter of the National Society of the Daughters of the American Revolution of Ledgewood, New Jersey. Our members live in northwest Morris County. We are women from diverse backgrounds with a variety of interests. Our common bond is our lineal descent from patriots of the American Revolution. 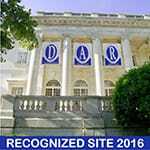 Membership in the Daughters of the American Revolution (NSDAR or DAR) is rewarding. When you join the DAR, you enter a network of women who form lifelong bonds, honor our ancestors, promote historic preservation, education, and patriotism in our communities. Women, who can prove their lineage to a patriot of the American Revolution, are invited to join. 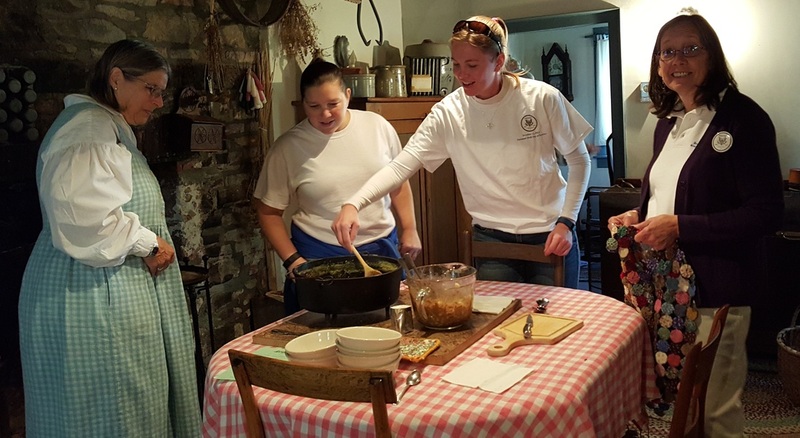 If you have a passion for the past and historic preservation, enjoy learning new things, value community service, and want to make new friends, this is the group for you! Check out our upcoming events; we look forward to meeting you. ​﻿The National Society Daughters of the American Revolution was founded October 11, 1890, with a mission to promote education, historic preservation, and patriotism in our communities.. These timeless principles have kept the DAR strong and relevant in this ever-changing world since its creation. DAR members continue to promote these objectives at the national, state and local levels. Over the past three years, daughters have provided over 14 million hours of service to their communities. ​New Jersey is known as the "Crossroads of the American Revolution." Positioned between the capital of the colonies in Philadelphia and the British stronghold in New York, New Jersey was at the center of the war. From the Delaware crossing, to two winter encampments in Morristown, General George Washington and the Continental Army spent more days in New Jersey than any other state. ​The New Jersey State Society (NJDAR) was organized on April 29, 1891. Today, there are 47 chapters located throughout the state. New Jersey Daughters are active within their communities, supporting programs by promoting patriotism, historic preservation, and education. Founded in 1973, the Ledgewood—Succasunna area chapter chose the name Ferro Monte to honor the early iron ore miners who worked diligently to provide cannon balls to ​the Continental Army during the Revolutionary War. Iron ore was found in abundance in northwestern Morris County, and iron interests have been active since the area's earliest history.